A nanopore is a nano-scale hole. In its devices, Oxford Nanopore passes an ionic current through nanopores and measures the changes in current as biological molecules pass through the nanopore or near it. The information about the change in current can be used to identify that molecule. Holes can be created by proteins puncturing membranes (biological nanopores) or in solid materials (solid-state nanopores). How does nanopore DNA/RNA sequencing work? A protein nanopore is set in an electrically resistant polymer membrane. An ionic current is passed through the nanopore by setting a voltage across this membrane. If an analyte passes through the pore or near its aperture, this event creates a characteristic disruption in current (as shown in the diagram below). Measurement of that current makes it possible to identify the molecule in question. A strand of DNA is passed through a nanopore. The current is changed as the bases G, A, T and C pass through the pore in different combinations. Oxford Nanopore devices are fully scalable, based around a core sensing unit of a nanopore set in an arrayed sensor chip and used with a bespoke Application-Specific Integrated Circuit (ASIC) which controls and measures the experiments. A protein nanopore is set in an electrically-resistant polymer membrane. Each microscaffold supports a membrane and embedded nanopore. 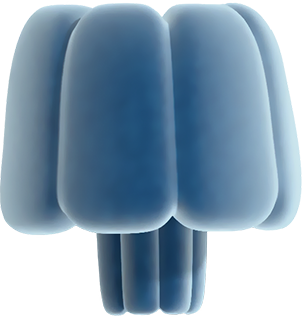 The array keeps the multiple nanopores stable during shipping and usage. Each microscaffold corresponds to its own electrode that is connected to a channel in the sensor array chip. 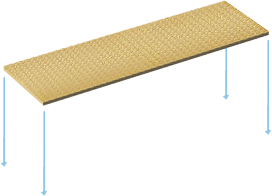 Sensor arrays may be manufactured with any number of channels. 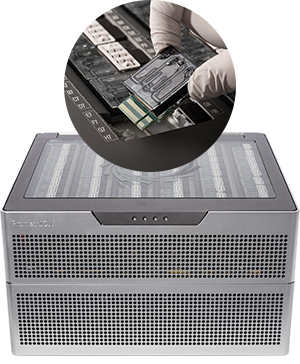 Each nanopore channel is controlled and measured individually by the bespoke ASIC. This allows for multiple nanopore experiments to be performed in parallel. More than one ASIC may be included in a device and Oxford Nanopore is building ASICs of different sizes for different purposes.